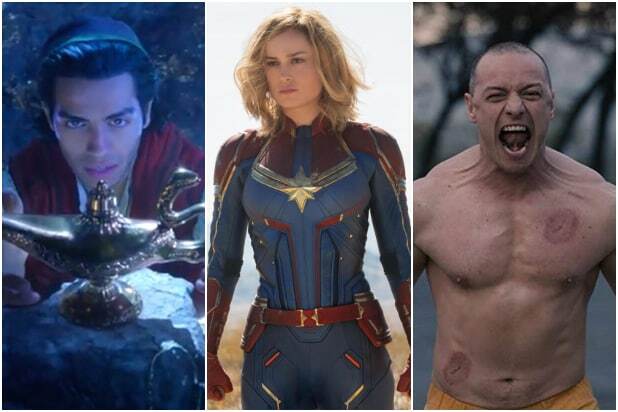 The trailer for "Avengers: Endgame" smashed a YouTube record to be the most-watched video in 24 hours, but the character who might just save all the Avengers butts in that film, "Captain Marvel," beat out "Endgame" in a survey of the most anticipated films of 2019. IMDb analyzed page views and their updating MOVIEmeter rankings from IMDb Pro to determine the 10 films fans are most excited for moving into the new year. Spoiler alert: there are a lot of capes and spandex on the list. 10. "Hellboy" - April 12 The reboot of "Hellboy" from director Neil Marshall stars "Stranger Things" actor David Harbour in the demonic title role. 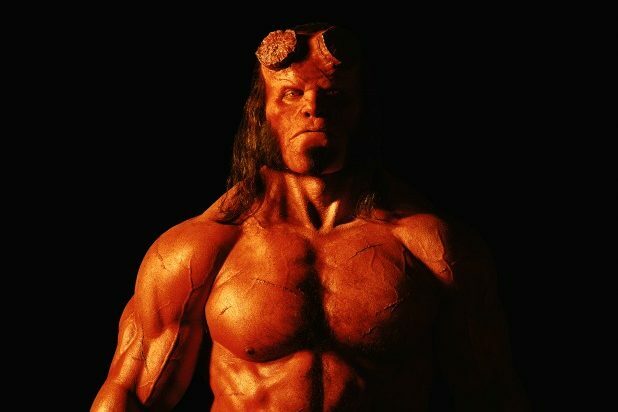 We'll get a first trailer for the film from Lionsgate on Thursday, but we know interest is high since a lot of fans are still hoping to see Harbour officiate a wedding in costume as Hellboy. 9. "Aladdin" - May 24 Wednesday morning, Disney fans were starting to get concerned when Entertainment Weekly revealed the first look at Will Smith as the Genie. Only problem: he wasn't blue. Though Smith assures that the look seen on the EW cover is just his "Human Disguise" form and that he really will be blue once audiences get a chance to see it. 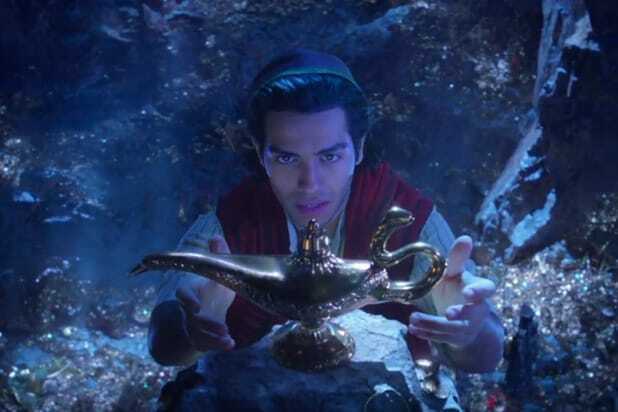 Guy Ritchie directs the animated remake that stars Mena Massoud as Aladdin, Naomi Scott as Jasmine and Marwen Kenzari as Jafar. 8. "Joker" - Oct. 9 "Joker" is shaping up to be one of the more peculiar superhero villain prequels ever, looking more like "The King of Comedy" than "The Dark Knight." Joaquin Phoenix will play the Batman villain the Joker as a failing stand-up comedian who finds himself driven insane and toward a life of crime and evil. Todd Phillips directs an equally bizarre cast that includes Robert De Niro, Shea Whigham, Zazie Beetz and Marc Maron. 7. "Glass" - Jan. 18 The sheer existence of "Glass" is unfortunately a spoiler alert for M. Night Shymalan's surprisingly successful comeback film "Split." Because "Glass" is not only a sequel to that film, but also his 2000 classic "Unbreakable." James McAvoy is reprising his role as the multi-faceted Kevin Wendell Crumb, a.k.a. The Beast, while Samuel L. Jackson and Bruce Willis reprise their roles from "Unbreakable," Mr. Glass and David Dunn respectively. 6. "It: Chapter Two" - Sept. 6 We knew there was always going to be a sequel to this new version of Stephen King's "It." What we didn't know is how the first film would be such a smash, grossing $700.3 million at the global box office. Now that the kids from the Loser Club have grown up and moved away, Pennywise is back to haunt them 27 years later. And director Andy Muschietti has assembled a great cast to sub in for the child stars, including Jessica Chastain, Bill Hader and James McAvoy. 5. "The Irishman" No release date yet or official images for Martin Scorsese's "The Irishman," an expensive project that Netflix bankrolled in order to bring Scorsese back to some of his mob movie roots. "The Irishman" tells the story of a mob hitman's possible involvement in the slaying of Jimmy Hoffa, and it reunites Robert De Niro, Harvey Keitel and Joe Pesci with Scorsese alongside Al Pacino, Jesse Plemons, Bobby Cannavale, Anna Paquin, Jack Huston and Ray Romano. 4. "Once Upon a Time In Hollywood" - Aug. 9 Quentin Tarantino is taking his spaghetti western, revisionist history to Tinseltown for his ninth film, setting his latest story in the midst of Charles Manson and his Helter Skelter heyday, with Margot Robbie portraying Sharon Tate in the film. Brad Pitt and Leonardo DiCaprio star in the ensemble piece that also includes Dakota Fanning, Kurt Russell and Al Pacino, but sadly, not Burt Reynolds. 3. "Dark Phoenix" - June 7 "Dark Phoenix" is the X-Men story fans have been awaiting since the conclusion of the original trilogy, about how the mind-bending mutant Jean Grey (Sophie Turner) taps into her incredible powers to transform into Dark Phoenix, forcing the X-Men to choose between their friend's life and the fate of the world. Jessica Chastain also joins the cast that's directed by Simon Kinberg. 2. "Avengers: Endgame" - April 26 If you watched that trailer, you know as much about this film as we do, but we'll point you here for a deep dive into everything we picked out from what could easily shape up to be the biggest movie of all time. 1. "Captain Marvel" - Mar. 8 Brie Larson is set to become the face for female heroes everywhere when we finally get to see her in action as Carol Danvers fighting a war between two alien races on Earth, in the '90s no less. Samuel L. Jackson has been digitally aged down, and the period vibes have a lot of Marvel fans feeling mighty nostalgic for Blockbuster Video and Nine Inch Nails. Jude Law, Gemma Chan and Ben Mendelsohn join the MCU in the film directed by Anna Boden and Ryan Fleck.